As someone who works with and blogs about Oracle, I like to read other Oracle blogs. I also noticed it was hard to find a good list of the top Oracle SQL blogs. So, I decided to make my own list. 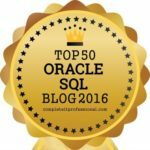 I had found more than 50 Oracle SQL blogs, but wanted to narrow the selection down to 50 because it’s a nice even number. I also wanted to only add blogs that wrote about Oracle SQL. There were a few blogs that wrote about other Oracle tools such as Golden Gate and APEX, which I didn’t include here. 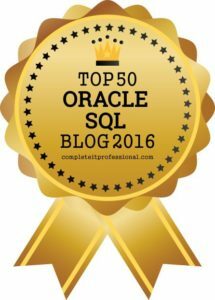 So, here’s the list of top 50 Oracle SQL blogs for 2016. I’ve included the blog owner’s name, their URL, their Twitter handle, a short description of the blog, and an interesting post from their blog. Do you own one of these sites? I’ve created a badge for you to add to your own site, if you’re interested. See the bottom of the post for more information. Adrian’s blog includes a few posts on different Oracle version’s features and some general Oracle SQL tips. Arup blogs occasionally about various Oracle SQL features and has quite a few posts on his OOW sessions in the past. Barry has quite a few posts on SQLcl and migrating to Oracle databases. Cary has quite a few posts on software performance, with some specifically around Oracle. Post: What happened to when the application is fast enough to meet users’ requirements? The OracleNerd website has a lot of posts (832 as of early 2016) and has a lot of good code samples on Oracle SQL. Christian has a lot of technical posts on his blog, and is also the author of Troubleshooting Oracle Performance. Christina Moore is the founder of Storm Petrel, which specialises in emergency management consulting and data management services. They have a range of Oracle SQL posts on their blog. Danny’s blog, DBA On Tap, details the problems he encounters each day, most of which are related to Oracle. David’s blog doesn’t have a lot of recent posts, but the posts he does have are informative and useful. 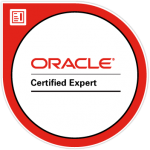 David has been blogging for a long time and is the author of the book titled Oracle Exadata Survival Guide. The Burleson Consulting site has a lot of great SQL information, and Don is also the author of many SQL books. Doug has a mix of travel stories and Oracle SQL posts on his site, along with a good recommendation of Oracle books to read. Eddie has a lot of helpful posts on his blog, and also runs the Orana.info Oracle blog aggregator. Galo has quite a few posts on the SQL Developer tool and new features in Oracle 12c. Hareesh has a blog that covers a wide rang of Oracle topics. He has many posts on new features in Oracle 12c which are good, short summaries. Heli has a neat looking blog and some long posts on Oracle tips and her thoughts on various conferences. Hemant has a lot of technical posts, with blog series on topics such as flashbacks and partitioning. Jeff is the Senior Principal Product Manager at Oracle, and his blog teaches Oracle professionals how to get the most from Oracle’s SQL IDE, SQL Developer. 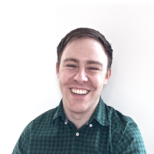 Jonathan’s blog has a lot of posts analysing different features or running different experiments on the Oracle database. 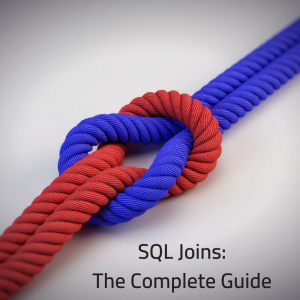 Jorge’s blog mostly covers Oracle APEX but it has some good SQL-specific topics. 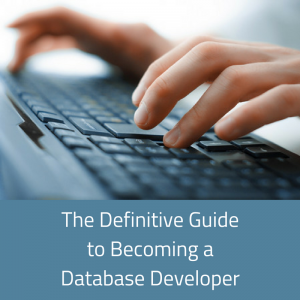 Julian posts occasionally on his blog, and include a range of database topics to help SQL developers. Kamran only has a few actual SQL posts, but has a range of other content such as ORacle guides and books. Kent has many achievements (including being a published author) and has a lot of great SQL information on his blog. Kerry’s blog includes a range of posts on presentations he’s been to, and different experiments he’s run on databases. Kim’s blog includes many posts on SQL and PL/SQL, as well as some recent interesting posts on the Oracle Database Developer Choice Awards. Kris’ blog focuses on the tools that Oracle SQL developers can use, including many posts on SQLcl. Martin’s blog includes many different posts on Oracle features, such as ASM and SQL tracing. Post: If you write SQL, be specific! Martin is an Oracle consultant and author. His blog includes many Oracle topics, including 12c features. Martin’s Friday Philosophy series of columns is popular, and he also blogs about different issues he faces with Oracle databases. Mauro is also a database consultant and blogs about different tips and features of Oracle databases. This blog has a small range of Oracle SQL posts, but they are quite valuable. Nimish is quite helpful in some of the Oracle Facebook groups I’m a member of, and has a range of topics on his blog. Randolf’s blog has a lot of posts on 12c parallel execution, and various video tutorials he has made. Rene’s blog includes some great SQL tips and has his blog in English and Spanish. Ric posts occasionally on his blog and includes various tips for improving your SQL queries. Richard has a lot of posts including Oracle indexes and database administration. Post: Quiz Time. Why Do Deletes Cause An Index To Grow? 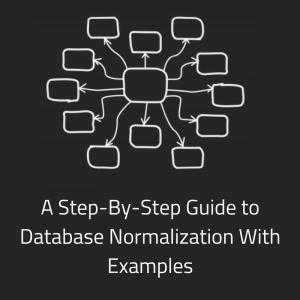 Rob’s blog includes a range of topics that would be useful to SQL developers, such as Oracle performance. Robert has a good range of posts, even though the blog hasn’t been updated in a while. Sarah’s blog includes a lot of summaries about conferences she has been to, and various Oracle technologies. Steve’s blog has a range of topics for DBAs and developers, and even some about other Oracle technologies such as ASM. This blog contains articles relating to the Oracle PL/SQL challenge, which is also linked from the site. Steve Feuerstien is one of the most well-known people in the Oracle world, and his blog is a great read. This blog has a few good blog post series explaining different experiments Stew has run on Oracle. Tanel’s blog has articles and videos of different features, including a series on RAM. 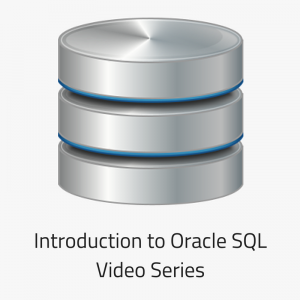 Tim has a lot of great posts on his blog, including some good Oracle videos he has created. The OraFAQ site has a lot of information in the forums, wiki, and some great blog posts. Uwe’s blog includes some of his videos, conference notes, and some great features of the Oracle database. Viral has a large blog that has a great selection of Oracle SQL posts. Vivek’s blog has a range of posts on performance tuning and different events he has been to. Do You Own One Of These Sites? If you own one of these sites, I’ve created a badge just for you. You can use this on your own website to mention that you were included in this list. All I ask is that you host the image on your own website, and link back to this post for more information. Here’s the code to include the image. Just replace the path_to_image with the place where you upload your image on your website. Thanks to those who were included in the list for creating some great Oracle SQL blogs! Thanks Kent, I’ve updated the post!